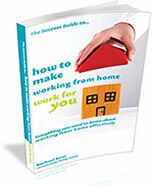 Helpful government homeworking Health and Safety information. Our success secret articles below are to help you find focus on the area of your life that gives you concern. Our aim at Purely Peppermint is to find ways to make your life a little more organised. One tool that will help you move in that direction and bring order to the areas of your life that may need a little assistance are lists. To start this new section off and just in time for summer, I have compiled a couple of checking lists to get your ready for your holidays. Purely Peppermint contributes articles to various newspapers and magazines. Here is a small selection of articles that would be of interest to you. Ideal job Does it exist? What exactly goes on when you hire the services of an organising/de-clutter expert? How is the session run, and what sort of a benefit would I achieve? If you are asking any of these questions then have a look at one of Purely Peppermint's case studies. They will give you and idea of what to expect, what Purely Peppermint's clients thought of the experience and what they achieved. The articles above have been produced in multiple formats for you to download or view on screen. Download Adobe Reader and Flash Player.